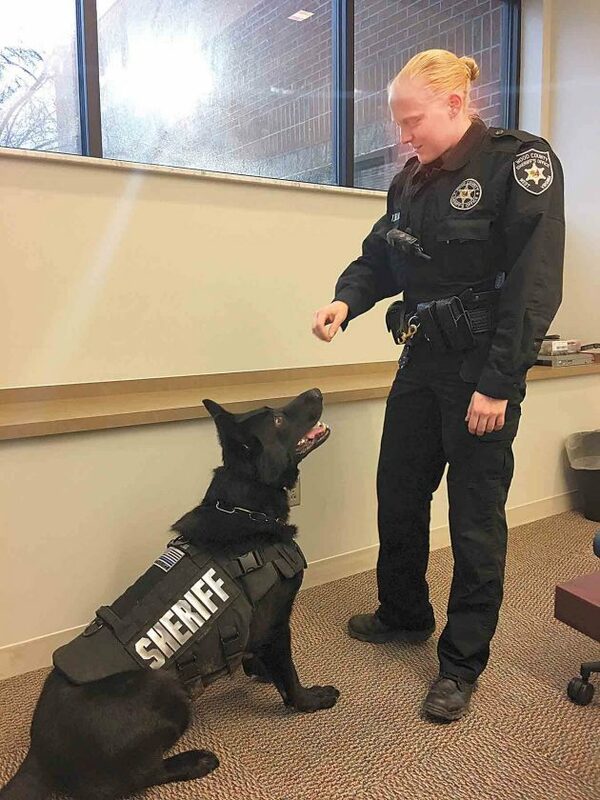 File Photo Deputy Taylor Phillips of the Wood County Sheriff’s Department and Drago, the department’s police dog. Drago won first place in the “Protection4Paws Event Tent Photo Contest,” and will now have his photo on the organization’s tents during events. Protection4Paws is a non-profit organization, whose sole purpose is to raise money to supply K-9 teams with needed items in West Virginia, Maryland and Pennsylvania. “Drago’s Photo will now be on their tents during fundraising and other events,” said Wood County Sheriff Steve Stephens. Drago defeated dozens of other dogs by obtaining more than 6,800 votes. Besides entering a photo, Deputy Taylor Phillips, Drago’s partner, wrote a brief description of why she felt he should win. 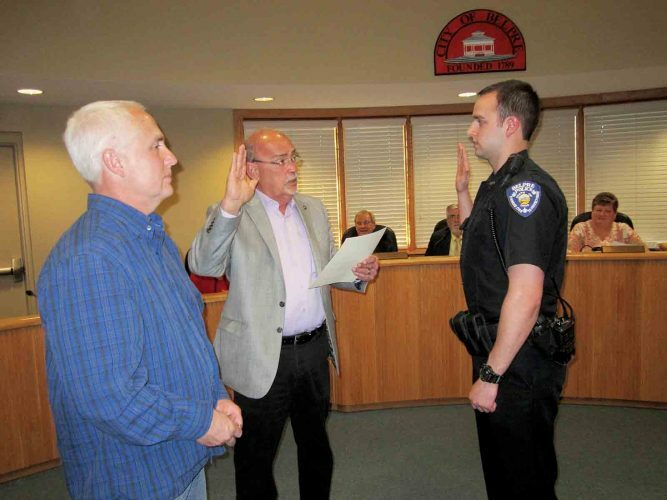 “In his first month on the road he helped locate 3.5 ounces of heroin on a traffic stop which is the largest amount of narcotics seized from a traffic stop in Williamstown Police Department history,” her description read. Stephens said he appreciates Drago being recognized. 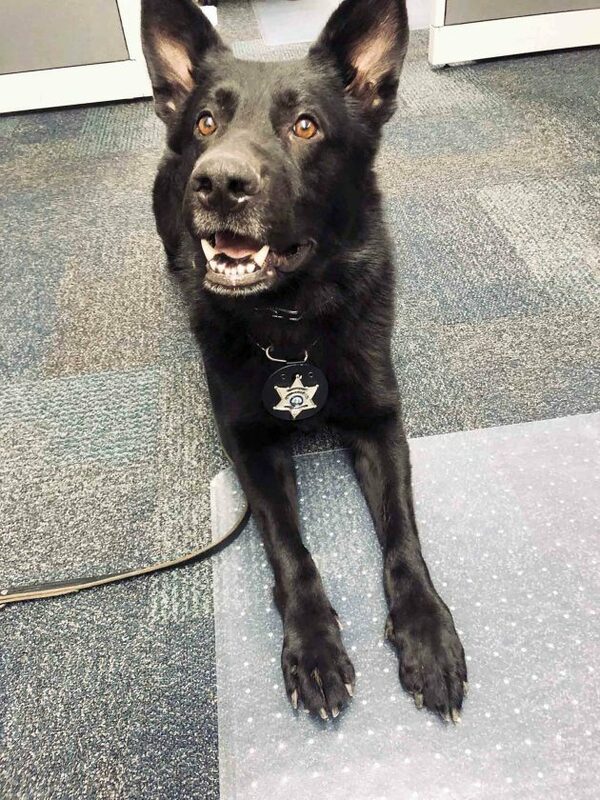 Stephens said he found it so neat, to watch how a social media contest helped bring the public and sheriff’s office together in support of Drago. “The whole department is so excited about the support received through the community,” he said.